One of the most important parts of a functioning INFINITI are the fluids it runs on – in particular, the engine oil. Because of this, getting an oil change is absolutely vital to the maintenance of your INFINITI. If you neglect having your oil changed when you’re supposed to, then the performance will without a doubt suffer. 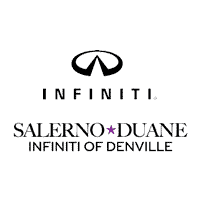 It’s recommended that you take your car in for an oil change service at our Denville NJ location at least once every five months or every 5,000 miles – whichever comes first.Your INFINITI requires a number of maintenance tasks on a regular basis, which is why it’s important to know what your maintenance schedule is and to abide to it. The oil change is one of the most important tasks and one that you should not put off – doing so will not only cause your INFINITI to run less efficiently – it can also end up causing damage to your engine, which will end up being a costly expense if it occurs. The failure of your engine – This is the absolute last thing you want to have happen to your INFINITI. Your engine oil acts as a lubricant for the mechanisms of your engine. Without enough engine oil, the heat caused by the friction of the piston and the piston walls rubbing against one another can result in a thermal breakdown, thereby causing your engine to fail. Oil leaks – Larger oil leaks are pretty easy to spot, since they create large puddles underneath your car. It should go without saying that you should bring your car in immediately if you spot such a leak. However, smaller leaks are a little more difficult to spot. While changing your oil, we will inspect your vehicle to make sure there are no minor leaks. Dirty oil – If you ignore your maintenance schedule and wait too long to have your oil changed, then more dirt and debris will build up within the engine, which will result in the engine working harder and less efficiently. You don’t want to cause unnecessary wear and tear such as this on your engine. If your car begins sounding sluggish or the car is having difficulty shifting gears, it could be because your engine oil is dirty and needs to be changed. Combustion interference and corrosion – Both of these can occur to your engine as a result of dirty oil. This occurs when the dirt and debris in your engine oil has turned to sludge, thereby causing more damage to the engine. This is also caused by engine shavings, which are created when the engine’s internal components are working without lubrication.